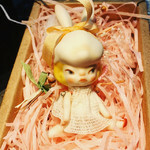 You have a really wonderful dolls!And it's a good thing,solution of little problem work here in forum. I looking forward your new dolls. We are still working on it. I am waiting for a reply from Kelly about my proposal for a solution, and I hope we will reach agreement! She is lovely to deal with. 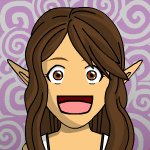 Hi everyone, I've been working and not showing up on the forum much! 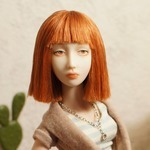 Here is a pic of my newest sculpt, the 14 inch/ 35cm lady. Thank you, Nanyalin, for your patience. I have decided to focus on larger dolls than the 10 1/2 inch little girls, I have such difficulty with the small size and getting the tension of the tiny springs just right. If anyone wants one, I may make one, but I won't make them just for "fun." My nerves need break. I have a habit of working tiny. In college, I always painted small. 8x10 inches, 10x12, etc. Then I started painting sets for the community theater, painting in feet instead of inches! I keep saying I should sculpt larger, it gives more room for expression in the painting. 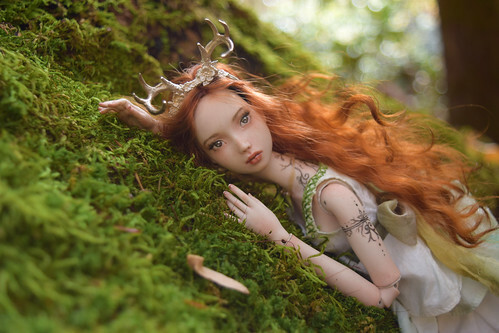 Marina B's larger Enchanted Doll blows me away! 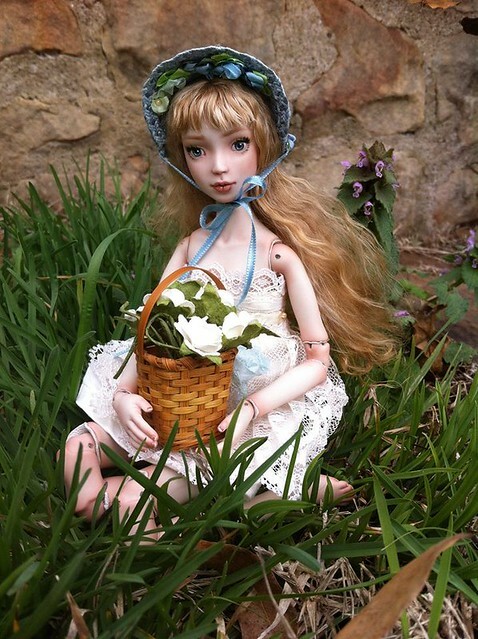 A does the Bidoll 18" that sold in February, beautiful work!!! Pretty much as soon as I cast a new sculpt, I'm ready to start sculpting something new. I'm trying to decide what to do next! I want to learn silver casting and make some accessories, maybe. I'm working on improving my (non-existant) sewing skills. I'm always blown away by the talent I see popping up on this forum, keep working, everyone, you're all an inspiration. You are very welcome, Kelly! I can understand about the tiny. YOur small girls are so lovely, tho! The teenager body is super cute. But I must say, that your new girl is so much more my style! And I can't yet believe I will own one <3. She's beautiful! Yes Kelly, this looks like the right size for you! 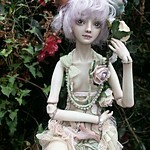 Blossom, my beautiful Higher Delights girl, utterly gorgeous displayed in my new studio. And if you are not on FB... HAPPY BIRTHDAY KELLY!!!! 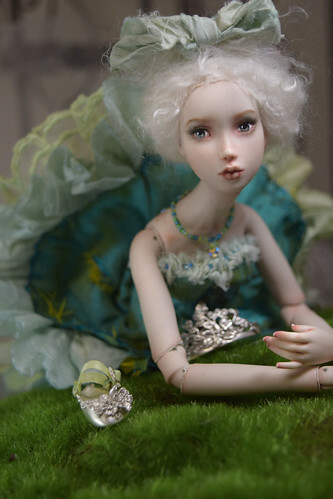 ope you have a wonderful year of making beautiful dolls!!! She is gorgeous orchidsdesigns! A lovely muse for your new studio!! Kelly!She's so beautiful!I love her wig! Thank you, Monika, and everyone who has supported my work and offered kind words of encouragement! I have been a recluse lately, busy with children... but I am preparing for a doll show nest year, I have some new girls to share. Here are a few, and if you see my facebook page, you have probably seen a few that I have yet to photo with my good camera, so- better and more pics of them to come. Again, thanks, everyone, for kind words and support over the years!!!! Wow, Kelly your dolls are so sweet and beautiful. The have such a gentleness about them.